Alex Jarman is a native of Savannah. 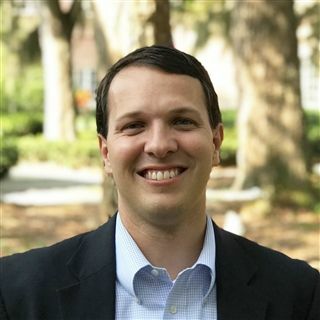 He attended Savannah Country Day from Kindergarten through 12th Grade before earning a BBA in Finance from the University of Georgia’s Terry College of Business. Alex is a Senior Financial Advisor with the Sotus, McCullough & Jarman Wealth Management Team at Merrill Lynch. He currently serves as President of the SCDS Alumni Association Board. His son, Wyatt, is a 3rd Grader at SCDS. Joey Bell is a native of Savannah. He attended Savannah Country Day from Pre Kindergarten through 12th Grade. He went on to earn a business administration degree from Presbyterian college in 01. Joey is owner of several businesses in the area, and also has worked for Chatham county for 13 years. He has 3 children, Jade, Nicholas and Kennedy. Christian Demere is a native of Savannah. He attended Savannah Country Day (Pre-K through 12th Grade) before earning a BA in Finance from the University of Notre Dame. 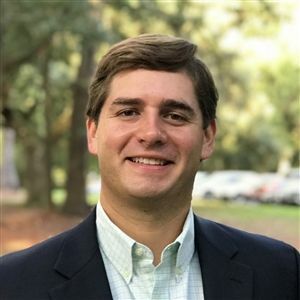 Christian currently serves as Executive Vice President for Colonial Group, Inc. here in Savannah and remains active within the community. 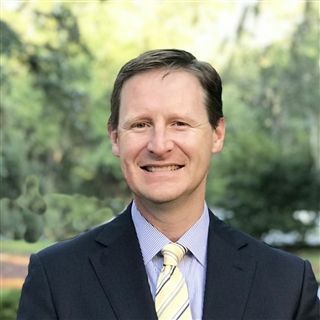 He currently serves on the both the Development Committee and the Alumni Board for Savannah Country Day School and is on the Parish Council for St. Johns Cathedral. Additionally, Christian is an avid supporter and volunteer for Junior Achievement and America’s Second Harvest. In his spare time, Christian enjoys playing golf and tennis as well as spending time out on the water. Doug DeWalt attended the University of Georgia earning a BA in Finance. 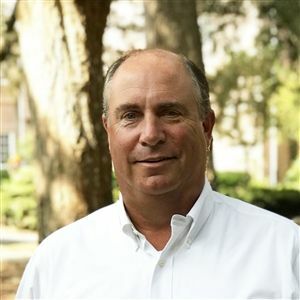 Doug is currently the Executive Director of Building Suppliers Corporation (BSC), headquartered in Savannah, GA. He is a member of Wesley Monumental Church. In his spare time, Doug enjoys spending time playing golf, fishing, and hunting. He and his wife, Regina, are proud parents of Caroline (class of 2018) and Harry (class of 2022). Seth Goodman is a native of Savannah. He attended SCDS from pre-kindergarten until graduating with his class in 1990. He graduated from UGA with a degree in speech communications. Seth returned to Savannah in 1998 where he began his bio-pharmaceutical career. He currently works with Amgen in Cardiovascular sales. He has served on the boards of the coastal center for developmental service (now Employ-Ability) as well as the Ossabaw Island Foundation. 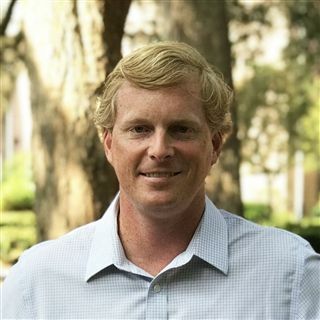 John Kingston was born and raised on Isle of Hope in Savannah. He attended Country Day from Kindergarten until senior year. Upon graduation, he attended Hampden-Sydney College (’07) where he played football & majored in Economics with a minor in Rhetoric. Following college, he taught English as a Second Language for a year in Wuhan, China. In 2009, he moved to Washington, D.C. where he began his career in the financial services industry with Northwestern Mutual. John returned to Savannah in 2016 where he has enjoyed being around family, old and new friends, the woods, the water, and the community. William Lattimore is a Savannah native and attended Savannah Country Day from 3rd grade through 12th (Class of 2001). His children, Elizabeth (Pre-K) and William (Little School) are the 3rd generation of the Lattimore family to attend SCDS. Lattimore earned a B.S. in Finance and Real Estate from the University of Alabama (2005) and is now the First Vice President of CBRE, Inc. in Savannah, GA.
Julian Lewis rejoined his family's business, J.C. Lewis Ford, in 2016. He maintains a close relationship with several additional entities as either founder or an advisor, supporting entrepreneurs with a primary focus on technology and innovation. He holds a BBA in Finance from the University of Georgia, Terry College of Business and an MBA from the University of Denver, Daniels College of Business. Prior to rejoining his family in Savannah, he spent time with Bear, Stearns & Co., Liberty Media Inc., and Oceanside Ten Management. 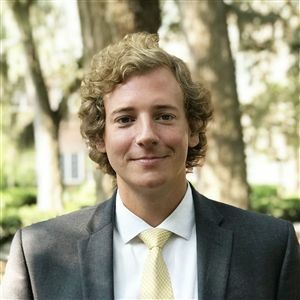 Julian serves on the local United Community Bank board and is also involved as a volunteer on the board of the Savannah YMCA and Union Mission. Julian and his wife, Julie, have three kids at Country Day, Allen (Pre-K), Robert and Reynolds (Little School). 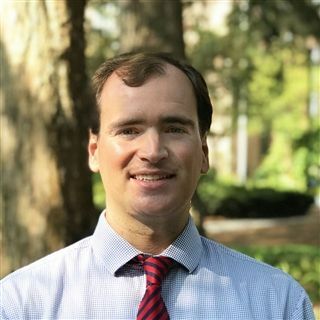 Rob Martin attended Savannah Country Day (K-12) before earning a BA in Finance from the University of Georgia. Rob lived in New York City for over fifteen years working for Alliance Bernstein and Epoch Investment Partners. 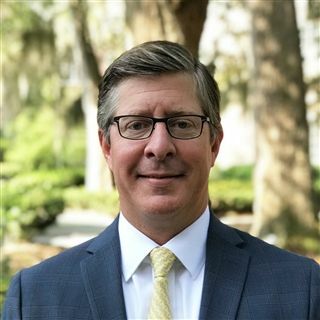 Rob returned to Savannah three years ago with his wife, Amy, and he is currently a Financial Advisor with Stifel Financial in the downtown office. 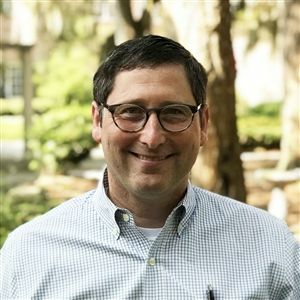 Rob serves on the Savannah Country Day Alumni Board, is a member of the Downtown Business Association, the Savannah Benevolent Association and Civitan Club of Savannah. Rob enjoys boating, traveling and playing golf. Stefanie McCullough is a native of the Savannah Area. She attended Savannah Country Day (3rd grade through 12th Grade) before earning a BA in Advertising and a Minor in Spanish from Southern Methodist Univeristy. 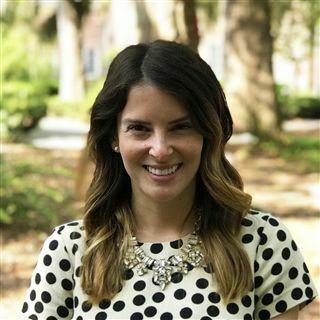 Stefanie returned from Dallas, Texas, to work in the Marketing Department at TMX Finance for 2 years, and now currently serves as the Director of Operations for her family business, Stop N Stor Self Storage, here in Savannah. She currently serves on the Alumni Board for Savannah Country Day School and has volunteered with Telfair Academy assisting with the Telfair Ball. She is active in community service and the Chamber of Commerce through Stop N Stor. 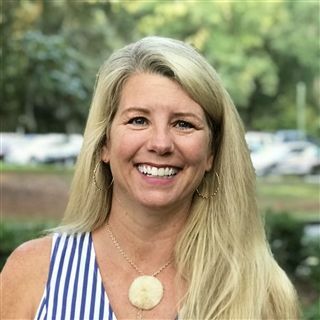 Stefanie and her husband Drew McCullough (05’) were married in 2017 and purchased a home on Skidaway Island were they currently reside and enjoy golf, tennis, and going out on the water. 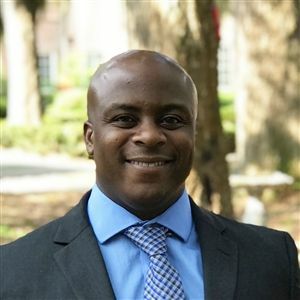 Ashley Pinckney was born and raised in Savannah, Ashley Pinckney attended The Savannah Country Day School (Pre-K through 12th) before earning his BBA in Finance at the University Of West Georgia. Ashley is President of ABP Investment Group, dba Popeyes Louisiana Kitchen, and THWG Properties. 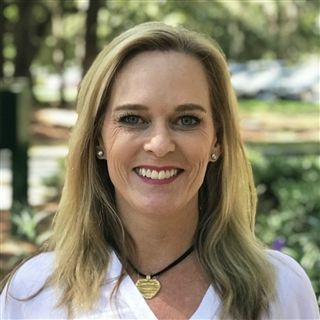 Proudly serving on the Alumni Board and currently serving as President of the Savannah Country Day Booster Club, Ashley has been an active Country Day alumnus since graduating in 1985. Ashley and his wife Amy Martin ’85 Pinckney have two children, Grace Archer Pinckney ’17 and Ash Pinckney ’19. McNab Reeves grew up in Bluffton, SC and started at Country Day in the 5th grade. He graduated from SCDS in 2007 and matriculated to Furman University where he graduated in 2011. McNab currently works for Merrill Lynch as a financial advisor on Skidaway Island. In addition to serving on the SCDS Alumni Board, McNab is on the leadership committee for the local chapter of the Leukemia & Lymphoma Society. He is also active in The St. Andrew’s Society and Georgia Historical Society. McNab and his wife, Kristen, enjoy spending time with their son, Pace, who recently started at The Little School. Beth Windom Stewart is a native Savannah. She attended Savannah Country Day from kindergarten through 12th grade and graduated in 1988. After high school, Beth attended The University of Florida where she obtained her Batchelor's degree in Nursing. She later attended the University of Missouri- Kansas City where she obtained her Master's degree in Nursing and became a licensed Nurse Practitioner. Beth works part time in the Georgia Southern University- Armstrong campus student health center and she is the founder/ owner of The College Student First Aid Kit, a company that creates first aid kits uniquely designed for the needs of college students. Beth is married to Joe Stewart of Savannah and she is the mother of Allison Palmer (SCDS class of 2015, currently attending The University of Florida), Jonathan Palmer (SCDS class 0f 2018, currently attending Presbyterian College) and Sarah Palmer (SCDS class of 2021). Additionally, Beth and Joe have three grand-children attending SCDS; Hunter Brigdon (Pre-K), Eleanor Brigdon (The little School) and Harper Childers (The Little School). Ruth Bowyer Weimar was a SCDS Hornet from K-12, prior to earning a BA in Journalism and Mass Communication from UGA. Ruth has over 20 years of experience in Telecom, and is currently implementing IT Security & Compliance Programs in AT&T’s Big Data division. She has a passion for education and conservation, and has had leadership roles in a variety of non-profit organizations. Highlights include: President and 12 year board member for the Humane Society for Greater Savannah, Coastal Conservation Association Board, SCDS Alumnae Board, Founder of In2Books/ePals Savannah Board, Lead for OCEARCH’s Savannah Expedition, Participant in 2017 Leukemia Lymphoma Society’s Man & Woman of the Year Campaign. Ruth and her husband, Brian, can be found on the water with their 6 year old twin girls (Hornets c/o 2030), and two salty dogs. John Northup is an attorney with Bouhan Falligant LLP, focusing on commercial real estate, banking, corporate law, commercial litigation and aviation law. A Savannah native, John attended Savannah Country Day from Pre-K through 12th Grade. He earned a B.A. (English) from the University of Virginia, and a J.D. and M.B.A. (Finance) from the University of Georgia. 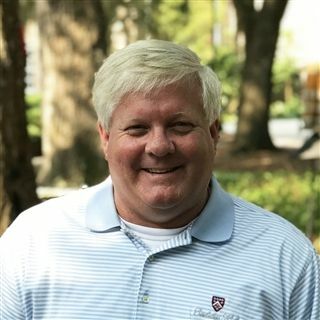 He serves on the Alumni Board for Savannah Country Day School, and is a board member and past president of the University of Virginia Club of Savannah. 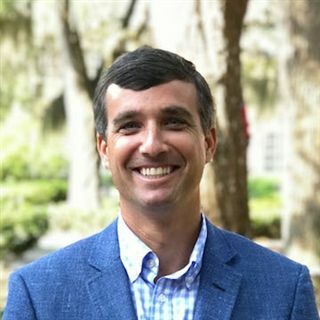 John is a member of Christ Episcopal Church and is in the 2019 class of Leadership Savannah. He and his wife Margaret have two children - Ellie (10) and Anders (8) - both of whom attend Country Day. In his spare time, he enjoys flyfishing, sailing and boating, and watching his kids participate in sports. Dana Stevens is a native of Savannah. He attended Savannah Country Day before earning a BA in Political Science from Hampden-Sydney College. Dana currently serves as Vice President for McGriff Insurance Services here in Savannah and remains active within the community. 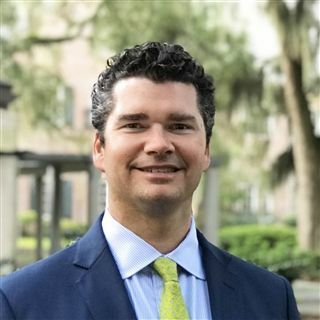 He currently serves on the Alumni Board for Savannah Country Day School, is the President-Elect of the Royce Learning Center, and a Member of the Savannah Benevolent Association. Dana enjoys spending time with his wife, Courtland, and two daughters, Poppy and Cricket, both currently attending Savannah Country Day. In his spare time, Dana enjoys playing golf and traveling.